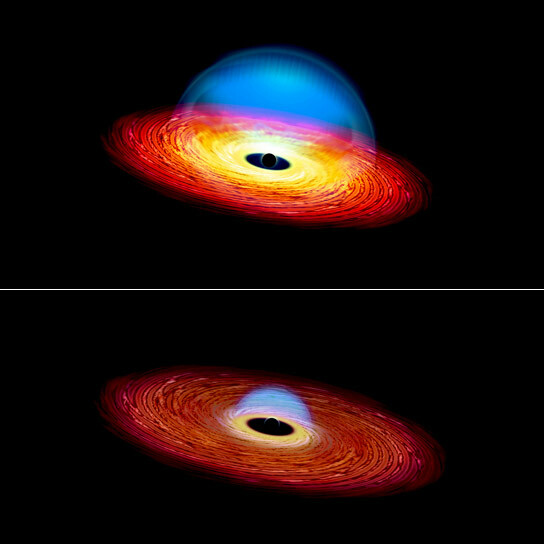 This artist’s rending shows “before” and “after” images of a changing look quasar. A team of astronomers from Yale University have identified the first “changing look” quasar, a gleaming object in deep space that appears to have its own dimmer switch. Be the first to comment on "Yale Astronomers Identify the First “Changing Look” Quasar"